This is a standout among gourmet cakes. 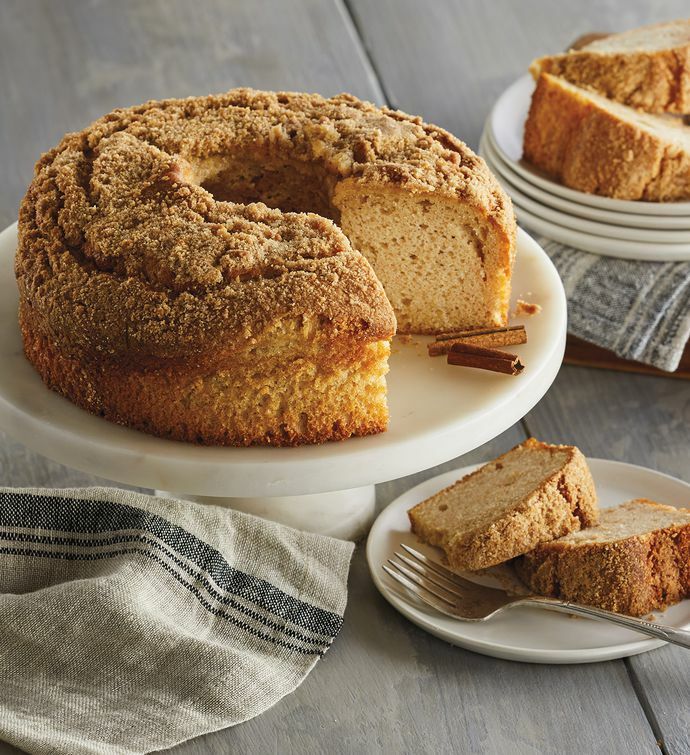 Redolent with the scent of cinnamon and crafted here in our own bakery with whole eggs and sour cream, this coffee cake offers the perfect combination of sweet and creamy flavors. The streusel topping adds an extra touch of sweetness. If you are considering a surprise cake delivery, this is the rich and decadent cake to send.